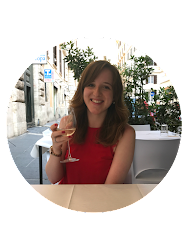 There's nothing better than scrolling through Pinterest, pinning all your favourite OOTD's, beauty tips and, my main indulgence, inspiration for 'My Dream House'. I've recently been collecting more office style pins, and thought I'd share my top 5. I love how minimal and clean this office is, just something simple where you can go to and be creative. The motivational quotes are another indulgence of mine, I've spent many times just feeling like my blog is going nowhere but if it's what makes me happy, I shouldn't stop. I also like the green plant on the table, it adds some colour and it's something fun to watch grow! More rustic and something I'd call 'earthy', but the green and orange primary colours and accessories really brighten the room up. Plus those storage shelves and draws are to die for! You'll probably soon be able to see that I really like the wall moodboards, I'd add tons of photos, quotes, magazine covers etc. and basically cover the whole thing! First up, how cool is that wallpaper?! And the lamp is so pretty. I'm a fairly tidy person (you know what they say, tidy desk tidy mind!) and my room is littered with little boxes to the massive boxes, but they're all under my bed or stored away, so I'd love to get a few patterned one to have out. Another super tidy office! 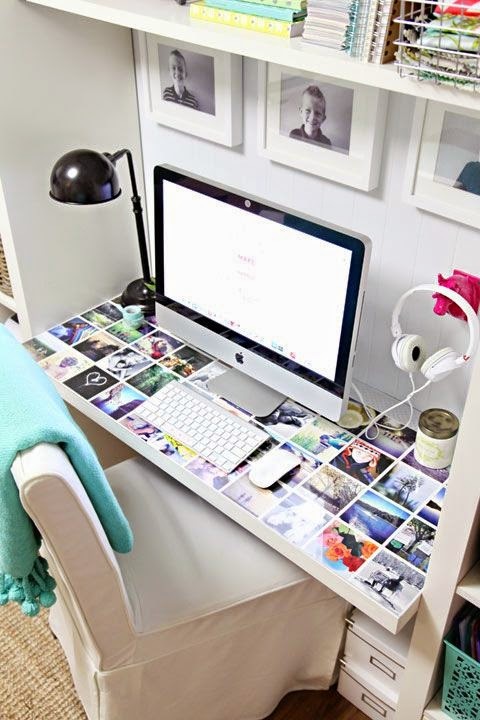 The main draw to this picture is obviously the image-desk. 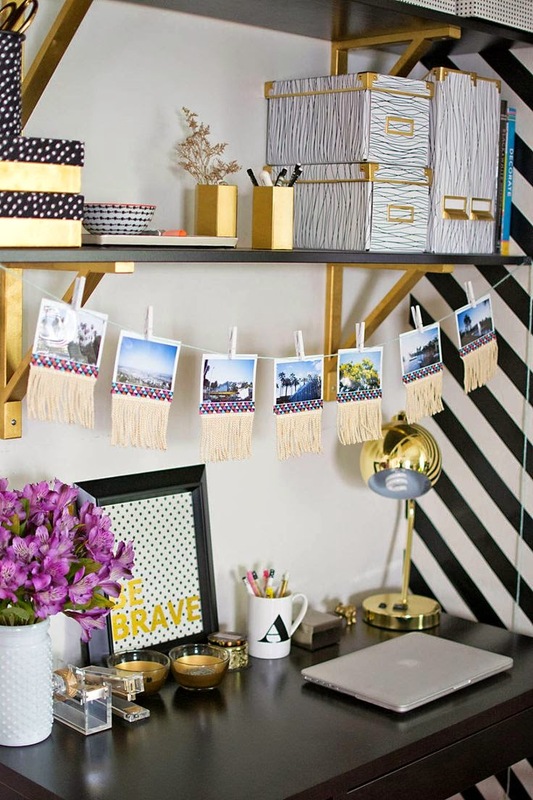 I think it's such an inspired idea and perfect for adding a bit of colour and texture to your office. 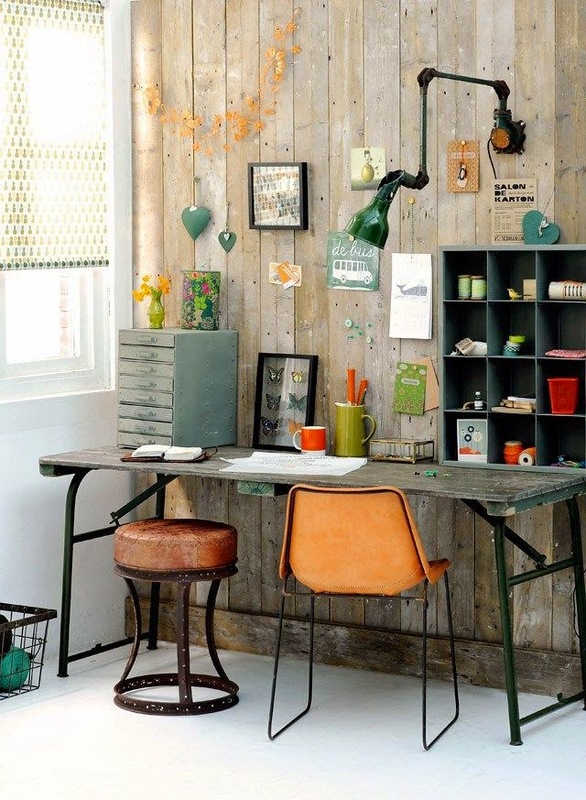 Offices which have shelving all around also make it feel so cosy and private, somewhere where you can take time out. Eeek, twinkling lights and a massive moodboard! This is practically how I'd love my office to look like. Tons of storage and stationary, somewhere to play music and a uber fluffy carpet - is this even real?! 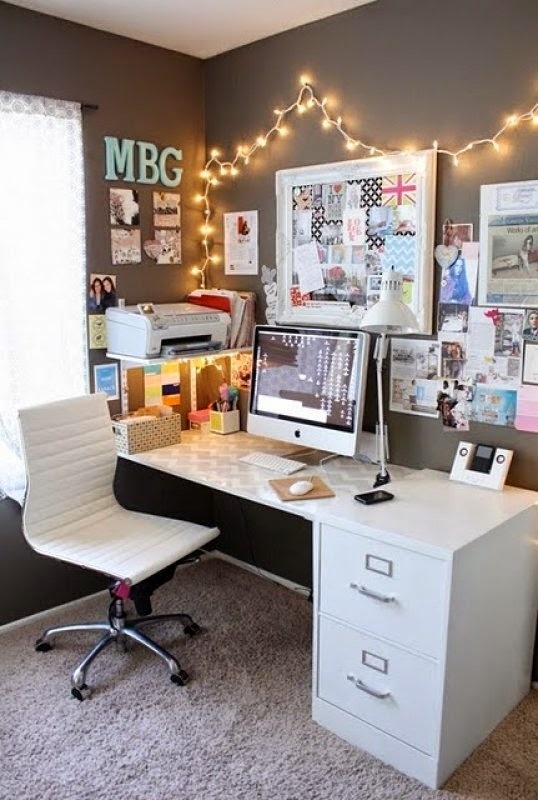 This has definitely inspired me, and one day my office will look like this!